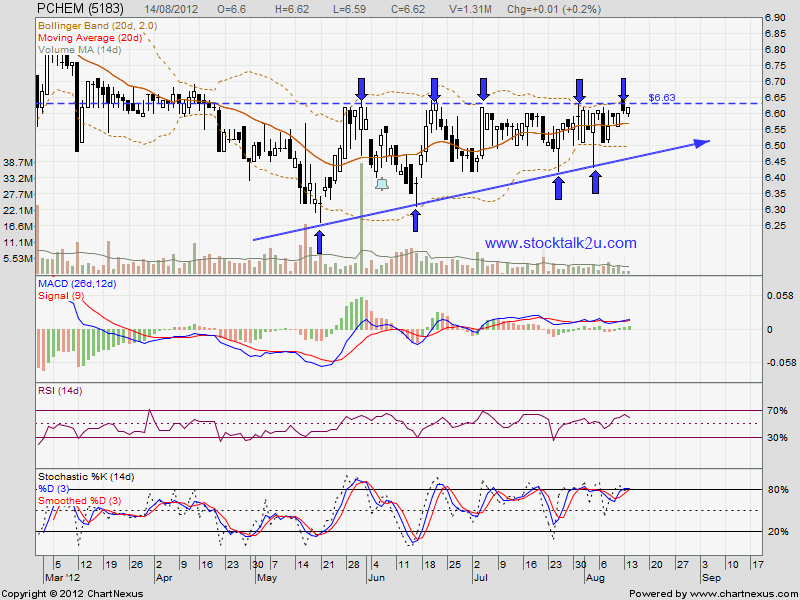 PCHEM retest RM6.63 strong resistance again. Will it break through or retrace down? 2. Stochastic %K No obvious BUY or SELL call. 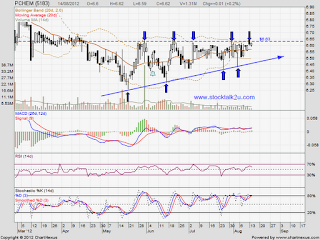 If retrace down, immediate support @ ascending triangle lower line.